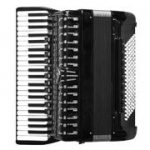 How have electronics and evolving technology been adapted to the accordion? What are advantages of playing the accordion? What special skills are needed to play the accordion?